Get your gaming thumbs ready for May 11th. LeapDay our fast paced action platformer will put your skills to the test with a brand new level EVERY DAY! HURRAY! 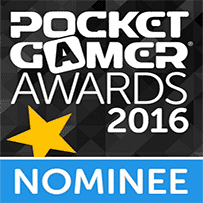 We have been nominated in the Pocket Gamer Awards 2016. Both Magic Touch and Beneath the lighthouse are highlighted in multiple categories. Nitrome is also in the best developer 2016 category and best developer overall list. p.s Please bear in mind that Pocket gamer is a site for mobile and portable games only, not browser. So this is why only mobile games are selected. Our Turnbased hero Rustbucket has a new update out THIS WEEK on mobile. They'll be a set of brand new sewer levels bringing the total to 40 levels so far. There is a bunch of exciting new monsters and tricky puzzles in threre too. We are (as ever) mega busy on a bunch of brand new games that we plan to keep you updated on when we get enough time to properly show them off. 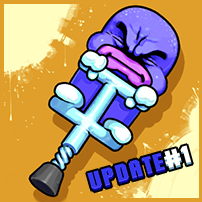 Rustbucket has had a second huge new update and this time we've mainly been focusing on WEAPONS! There are 10 brand new weapon themed stages set inside a huge fire temple for you to fight through with lots of cool new mechanics and puzzles. Also for those of you still enjoying the endless mode weve added a shop to the mix... FINALLY a real way to spend all of that gold. Each weapon has been balanced to have its own plus and minus points. A Bow might be handy at long range attacks but is far less effective upclose than say a mighty battle axe. There is even a new way to smash those annoying statues thanks to the huge warhammer weapon, so there is no excuse not to "smash" your highscores. p.s We know we have neglected the site a lot of late. 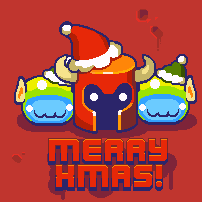 You'll find that we are very active on Twitter (@nitrome) due to it being just so easy to pick up and quickly post at any time of day. There has been a lot of news that you might have missed, but we aim to post the most important pieces here for you all to enjoy. Needless to say there are plenty of amazing new games that we are working on right now, so stay tuned! 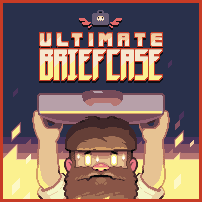 Nitrome is pleased to announce that our first ever published game Ultimate Briefcase is now live on the Google Play and the Apple App Store. So if you have a mobile device you can go and download it now! Our first published game Ultimate briefcase is coming to your devices THIS WEEK for iOS and Android. This game was created by the ever talented Quite fresh games, created by Stefan Ahlin. -Unlock new characters EACH with their own unique special moves and multiple exciting and jaw dropping upgrades! -What is inside the ultimate briefcase and where did it come from? By collecting discarded security cam footage you’ll be able to piece together where how this all began to unravel in a series of animated clips. Clever stuff. -Unlock new power-ups in the shop to both attack and defend yourself against the onslaught of projectiles and improve your high score. -New arenas can be opened up and are also not just cosmetic. They too have their own traps and quirks for you to discover. 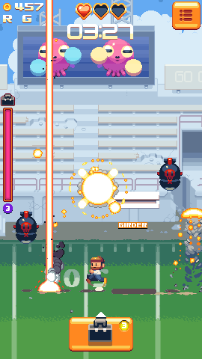 In short, Ultimate briefcase is, well... the ULTIMATE bullet dodger on mobile. And it’s rather pretty to boot. We couldn't be more pleased with how it turned out. ...And to think it wasn't so long ago that we had our first game published. 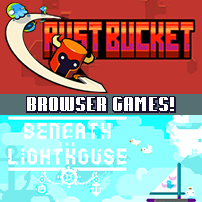 today we have not one but two new browser games for you to play on the Nitrome website! First up is our twisty adventure game Beneath the Lighthouse! Work your way through a mysterious series of rooms in the cliffs Beneath the Lighthouse in search of your Grandpa. Second we have Rust Bucket which we tried extra hard to launch the same day as the update on mobile! Turn based Rougelite! Follow up to our Turnament icon game with both levels and endless mode to try! We will still be bringing you Go Pogo soon but we have a few problems need ironing out there still. there is now a cool new update to our Go Pogo game live on the app stores! Yay! It features 10 new exteme stages for those of you brave enough to try and beat! There are also 10 new characters to unlock! Hooray! We also tuned a few of the early bits to help users get into the game a little easier. We hope you enjoy the update. Now we havent posted much recently....sorry. So time for a little update on whats to come next! Rust Bucket update should be hitting next week to the App Stores! Ultimate Briefcase should follow the week after launching in the first week of Feb (Sorry I know we said January before but it slipped slightly). Now your all due some web games and we promised them for January too. We will try to get all three....some may end up being Feb though. With Christmas upon us were starting to look to the New Year. Next on Nitromes release list will be our first ever published game 'Ultimate Briefcase' by the very tallented 'Quite Fresh'. Quite Fresh is a new studio started by Stefan Ahlin who worked as an artist on many of Nitromes classic games such as Steamlands, Nitrome Must Die and Canary to name just a few! The game is not submitted yet but it is wrapping up nicely, so the hope is that we will launch the game in January! The game itself is super cool with literally a TON of content to unlock and every unlockable element has new gameplay be it a new character, power up or new location. There is also an awesome way that the backstory is slowely unlocked as you play too, which ties nicely to the characters that unlock and other elements. More on this game soon! 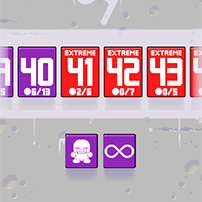 10 new 'extreme' levels for those who have completed the game! 10 new characters to unclock including a certain mammal/amphibian hybrid whos game helped inspire the concept of this game. Also there have been minor tweeks for early levels for a smoother difficulaty curve so if you were having problems getting into the game this may be for you! With the holidays in full swing it feels appropriate to write a little post wishing you all a great time, to act as a round up for the year and set the sights for the year to come. So this year you may have noticed we took a decidedly mobile turn. Some people think this is great but we recognise that for others they wish we would just drop all this mobile nonsense and go back to the good old days of browser games. If you're in the later group we are sorry, but our current future seems to be firmly in the mobile market for the moment. Following a huge decline in the browser side of things over the last few years we had our most profitable year to date! That's some turn around, i'm sure you will agree and it is all due to our new focus on mobile. That said we are very sad to have let the web side slip as we have. Our intention from the beginning has been to produce web versions of the games and release them alongside the mobile counterparts. That has not happened. We will endevor to correct this in the new year starting with releases for Beneath the Lighthouse , GoPogo and Rust Bucket in January! Also in January if all goes to plan we should see the launch of 'Ultimate Briefcase' and content updates for both 'Go Pogo' and 'Rust Bucket'. 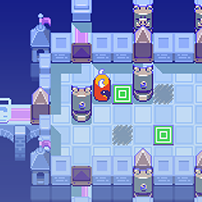 We have 3 games in the works that we are not talking about yet at Nitrome. That is not counting 'Ultimate Briefcase' or 'Project Jump' which we have talked about in the past that is still ongoing. We will start to reveal more about these projects in January. It has been a LONG time since we showed anything on "project jump" as we put it to one side for a bit whilst working on some other projects. We have been back working on it for a little while now though and it is really starting to take shape. There is a pretty big idea behind this one: You play a new level EVERY DAY! The level itself is not random and there is an end goal, but in order to achieve this we have built an engine that makes levels that are suitably varied every day.